The coalition government is in crisis, limping from one disaster to the next. The Prime Minister has a plan. Get the world's finest barber in to give him a new haircut. His defence minister, however, has an entirely different and more compelling plan. Using the all-new zombie-control gene developed by British scientists, the government will harvest an army of the living dead and use it to take over the world. 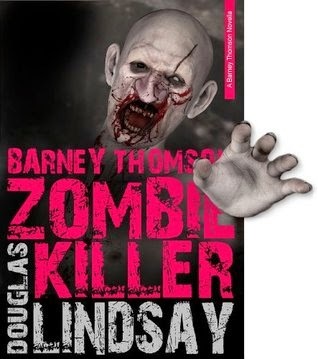 Barney takes on zombies! Still after death, resurrection and run-ins with both God and Satan, you'd expect nothing would phase Barney Thomson anymore. This is another fun foray into the world of the notorious barber, fill with laughs and plenty of death and destruction.